Although our company had one of the early websites on the Internet with video, it has been missing from our site for the past decade. We’ve been so busy developing, building and shipping Clear Flow Aquaponic Systems®, creating comprehensive course content, teaching courses, speaking at conferences and writing books, manuals and curriculums, we really hadn’t slowed down to tell our story. Now we are changing that. 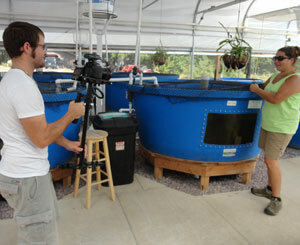 We’ve hired videographer, Chad Adams, to launch a new era of aquaponics video on the web. 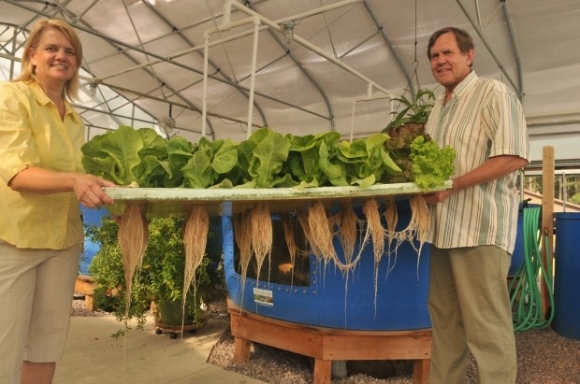 With all of the poorly shot, shaky, videos of backyard aquaponics on the web, you will see a completely different approach in our videos, which show our fully developed aquaponics systems and methods and an industry that is already developed. We have a clear path to success for aquaponic growers, which includes offering training, science-based systems and tech support using our 20+ years in aquaponics and 30+ years’ experience in controlled environment agriculture. History of Nelson and Pade, Inc. In watching these videos, you’ll have an opportunity to get to know who Nelson and Pade, Inc. is, as a company, as a leader in the industry and as individuals who make up our highly skilled team. Most people immediately think of fish when they hear about aquaculture. At Nelson and Pade Inc., in Montello, fish is only part of the business. Wisconsin Department of Agriculture, Trade and Consumer Protection Secretary Ben Brancel will be at the aquaponics company Saturday to help people learn more about the industry on Aquaculture Day. “They raise tilapia, and I thought it was a good way to go out and help the fish farming industry and advance their agriculture efforts in Wisconsin,” Brancel said. Brancel said fish farms provide only about 2 percent of consumed seafood in the state, so he sees room for a lot of growth.